Terrorists can use many different methods of attack. As well as using tried and tested methods, they are able to innovate, as demonstrated by the attacks on New York on 11 September 2001. More recently in Paris, we have seen a complex plot involving multiple attackers and various weapons, all coordinated to occur simultaneously. These can be delivered to their targets in vehicles, by post or by a person. An explosive device within a vehicle is a common means of attack for some terrorist groups. Car bombs were frequently used by the IRA during the Troubles in Northern Ireland. International terrorist groups such as Al Qaida and the Islamic State of Iraq and the Levant (ISIL) often use suicide operatives in vehicles to improve the likelihood of the explosives detonating at the required moment. Suicide bombers also carry an explosive device into the vicinity of a target individual or location. In Ankara in October 2015, for example, two people detonated suicide belts killing 102 people and injuring more than 500 others. In December 2001, Richard Reid was thwarted in his attempt to bring down an airliner with a small improvised explosive device concealed in his shoes. In October 2015, a Metrojet flight from Sharm el-Sheikh to St Petersburg broke apart in the air, killing 224 people. The Sinai branch of ISIL claimed responsibility for the incident and ISIL later published photographs of the bomb that it alleged had been used. Dissident republican groups in Northern Ireland continue to use a range of explosive devices. In 2011 an under-vehicle device was responsible for the death of Constable Ronan Kerr in Omagh, and several other such devices have been deployed since. Pipe bombs and radio-controlled, victim-operated and postal explosive devices have also been used in Northern Ireland recently. Terrorist groups have orchestrated a number of shootings and close quarter attacks targeting Westerners, in the Middle East, North Africa and Europe. In June 2015, ISIL claimed responsibility for an attack on the Port El-Kantaoui tourist resort in Sousse, Tunisia. 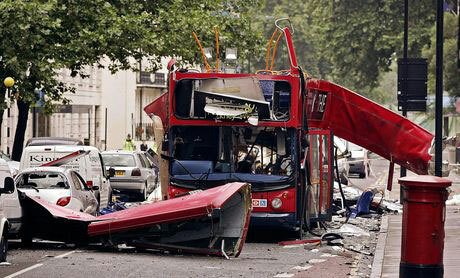 38 people were killed, most of whom were tourists, including 30 British nationals. In January 2015, brothers Said and Cherif Kouachi entered the Paris office of satirical newspaper Charlie Hebdo armed with assault weapons, killing 12 people and wounding many more. They claimed the attack on behalf of Al Qaida in the Arabian Peninsula (AQAP). A day later, a friend of the Kouachi brothers, Amedy Coulibaly, shot and killed an unarmed police officer. The following day he entered a kosher supermarket and killed four more people. Coulibaly claimed the attacks on behalf of ISIL. In September 2014, ISIL released a speech calling for lone actor attacks against the West. This provided sanction for those inspired by ISIL to conduct attacks without any further reference to the group, stating that it's not necessary to travel to Syria to join ISIL: individuals can carry out attacks on the group's behalf and be recognised as a member. On 14 February, Omar Abdel El-Hussein attacked a freedom of speech debate at the Krudttonden cafe in Copenhagen, killing one attendee and injuring three police officers. Later the same day, he killed a security guard and injured two more police officers at the Great Synagogue. El-Hussein indicated that his actions were inspired by ISIL. In November 2015, a terrorist cell conducted a series of coordinated attacks in Paris, using firearms and suicide bombs. The attackers targeted the Bataclan Theatre, the Stade de France and a number of cafes and restaurants, killing 130 people and injuring 368 more. ISIL claimed responsibility for the attacks the following day. This was the most sophisticated western attack carried out by ISIL, involving at least nine operatives and using multiple weapons including automatic firearms and person-borne improvised explosive devices (PBIEDs). Dissident republican groups have also used firearms in their attacks against the security forces in Northern Ireland. These have included the murders of Sappers Mark Quinsey and Patrick Azimkar outside Massereene Barracks in 2009, Constable Stephen Carroll in 2009, and prison officer David Black near Lurgan in November 2012. Islamist groups in conflict zones around the world actively seek to kidnap Western nationals for financial and propaganda gain. In the latter half of 2014, ISIL released videos claiming to show the murders of, amongst others, UK nationals David Haines and Alan Henning. Through these, ISIL hoped to spread fear and attempted to show its strength over the West. As well as in Syria and Iraq, the kidnap threat persists in Yemen and parts of West, North and East Africa where Islamist groups are active. An unsuccessful surface-to-air missile attack was attempted on an Israeli charter plane departing from Mombasa, Kenya, in November 2002, using a shoulder-launched Man-Portable Air Defence System (MANPADS). Similar attacks have been carried out against coalition aircraft in Iraq. To date, no such attacks have taken place in the UK. Alternative methods of attack, such as explosive devices, are more reliable, safer and easier for terrorists to acquire or use. Nevertheless, it is possible that Al Qaida, ISIL or other terrorist groups may seek to use chemical, biological or radiological material against the West. In April 2005, Kamel Bourgass, an Algerian with known links to Al Qaida, was convicted of plotting to manufacture and spread poisons, including ricin, in the UK. Bourgass was sentenced to life in prison for the plot, and for fatally stabbing a police officer during his arrest. In addition to physical attack methods, terrorists may also try to access information that may be of use to them. For example, they may try to radicalise an individual within an organisation who can provide "inside" information that helps to plan an attack. The Foreign and Commonwealth Office provides information on threats to personal safety arising from terrorist activities abroad in its country-specific travel advice.